Eu fiz o vídeo heim, então... Clica no PLAY e venha conferir! I did huh video, then ... Click the PLAY and come check it out! O Banho! 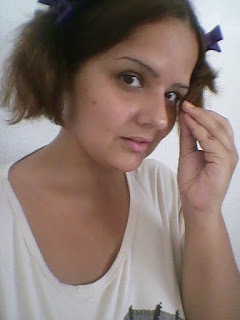 & O Cabelo! The shower! & The hair! As Unhas! 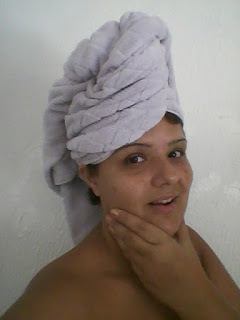 Maquiagem! & Roupa com acessórios! The nails! Make up! and clothing with accessories! Eu sei... Já devem estar pensando... E o calçado? I know ... I should be thinking ... And the shoes? A verdade é que peguei uma micose na unha e hoje cortei a metade dela, está muito feio, vou ficar um tempo sem mostrar o meu pé. 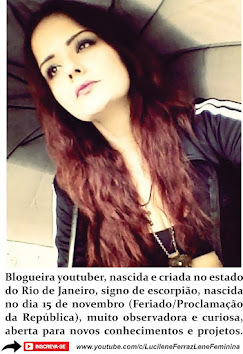 Triste... Tô chateada. Está muito feio. Mas vamos falar de assuntos bons! Veja o vídeo! Hoje é terça-feira, dia de post com vídeo! The truth is I got a fungal infection in the nail and today cut half of it, is very ugly, I'll stay a while without showing my foot. Sad ... Tô upset. It is very ugly. But let's talk about good subjects! See the video! Today is Tuesday, day of post video!